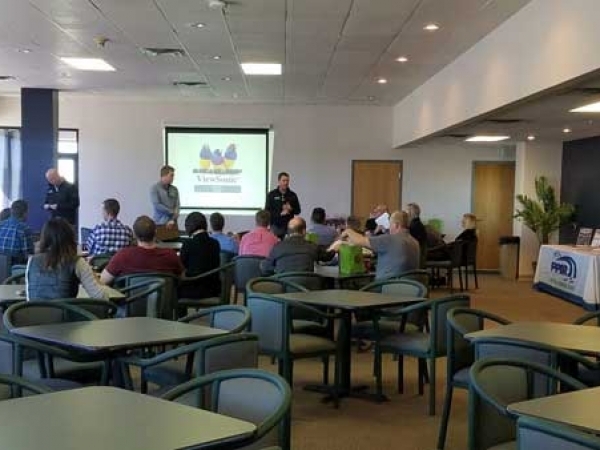 The acclaimed 2019 RMVR Drivers’ School is the greatest racing value around. Period! It’s actually two driving schools in one, held simultaneously over two days on a professional race track originally designed for NASCAR and Indy cars. 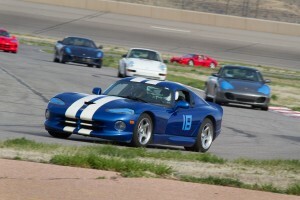 Both schools alternate their time in the classroom and on the track, and are taught by experienced RMVR club drivers. 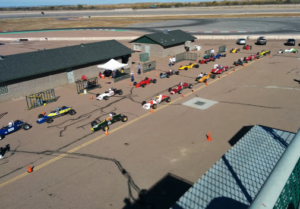 The Competition School is intended for those seeking a full Competition racing license with the goal of becoming a regular RMVR racer with a vintage eligible race car. This school is divided into two groups, one for Production Cars and one for Open Wheel cars. It’s the same classroom curriculum for both groups, but they participate in separate track sessions. 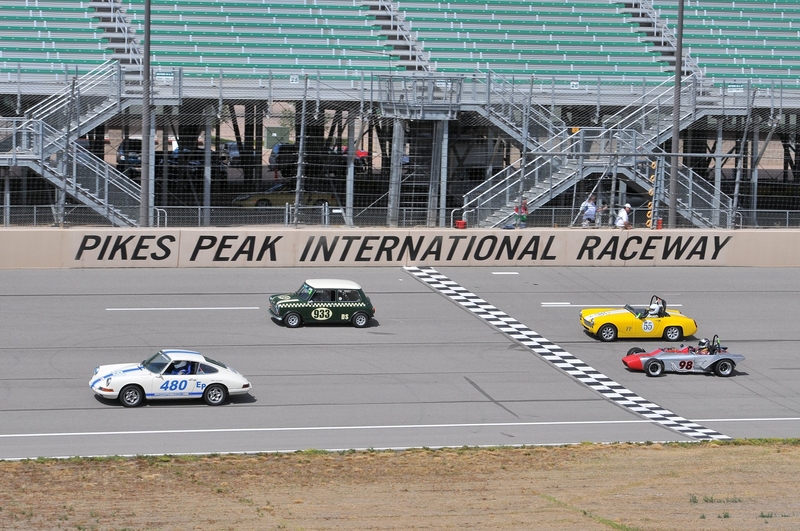 The RMVR Drivers’ School is recognized as valid for all Vintage Motorsport Council clubs. More information is available in the Competition School information packet. 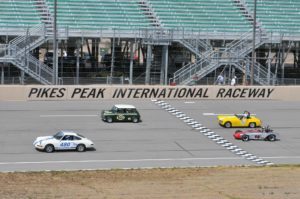 The Precision School is intended for those who do not have a vintage eligible race car but wish to gain the skills, ability and confidence to better control their street cars, or who just want to release their inner Mario! Precision School students have their own classroom sessions and track sessions. More information is available in the Precision School information packet. 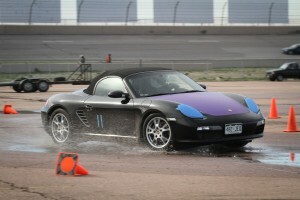 We are fortunate to be able to utilize a professional race track for our drivers school. 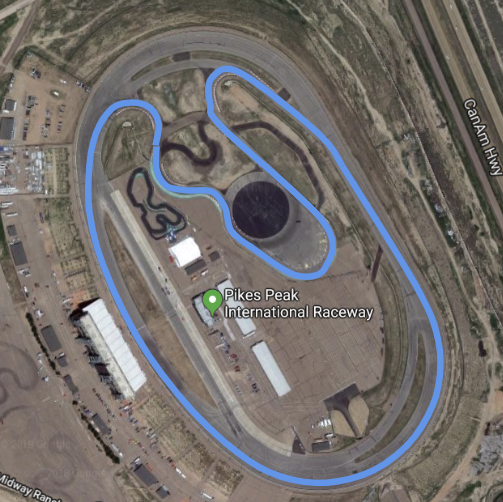 Pikes Peak International Raceway (PPIR), which opened in 1997, is a 1-mile banked oval originally designed to host the Indy Racing League, NASCAR Bush and NASCAR Truck series. Not only is PPIR’s “roval” track configuration fun and unique (more about that below), the classroom facilities and observation deck help provide a high quality experience for our students. The large classroom comfortably accommodates all of our students, and the observation deck provides a exceptional birds eye view of the track for all to watch and learn. So what’s a “roval”? In auto racing terms, a race track that is not a traditional oval (the Indy 500 and most NASCAR races are run on ovals) is called a road course. A “roval” combines these two track configurations into one, by utilizing a twisty section of pavement in the oval’s infield (the ROad portion) with part of the traditional oVAL track.